We already know Samsung has started working on Android Oreo updates for a few Galaxy devices, including the Galaxy Tab S3 tablet, but now we've got the evidence that confirms the initial reports. Samsung's high-end slate has just been spotted at Wi-Fi Alliance running Android 8.0 Oreo, which means the South Korean company is close to making the highly-anticipated update available to the general public. 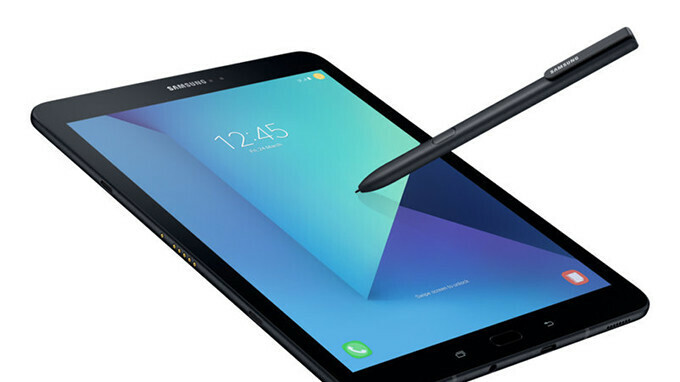 The Galaxy Tab S3 is part of the second wave of Samsung devices that are supposed to receive Android 8.0 Oreo updates, alongside smartphones like Galaxy S7, Galaxy S7 edge, and Galaxy A5. Samsung has already kicked off the rollout of Android Oreo for Galaxy S8/S8+ and Note 8, but it will take some time before the update reaches all compatible devices. It is yet unclear whether or not there will be a third wave of smartphones that Samsung will update to Android Oreo. Since the handset maker launched quite a few products last year that may be eligible for such a software upgrade, there's a chance that Samsung will offer Oreo updates to more devices at some point in 2018. I guess we'll have to wait and see. Glad to see some tablet updates. They're so rare. Any news on the MIA Tab S4? Now if my Galaxy tab pro can get it's first update off of kit Kat, lol. You can install Android 7 right now, yes, it will be a custom ROM but they work. Plus any moron can install one. Just head over to XDA. Samsung is the worst company on the planet when it comes to updates, hence why the ROM community is so large. In a lot of ways, custom ROMS are much better, less bloat, faster, more secure, tons of custom solutions and newer more modern tech, etc. I never use what comes pre-installed on any of my phones, esepically phones that were made in China, i.e., which is most of them. The only safe phone brand is BlackBerry, it's why the Military and goverment still use them.